Founded by electro-mechanical engineer Herve Billiet and environmental scientist Joe Marhamati, Ipsun Power’s mission is to “fight climate change by installing as many solar panels as we can.” Billiet and Marhamati believe that solar energy should be accessible universally so that everyone can generate their own power through a clean and renewable source. The name “Ipsun” comes from the Latin word Ipsum meaning, yours. 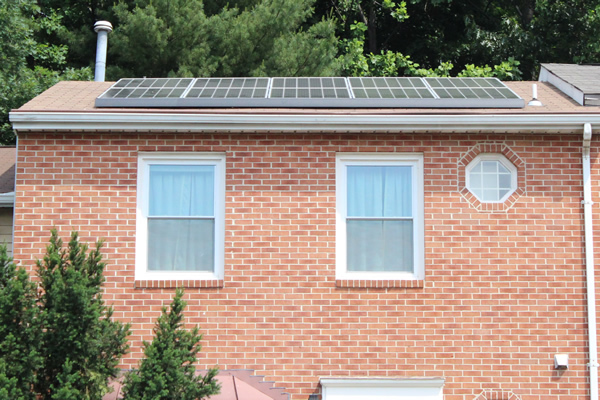 The company does residential, commercial and utility-scale solar panel installations in the Washington D.C., Maryland and Northern Virginia areas. Billiet and Marhamati met while working at the U.S. Department of Energy collaborating on the technical analysis of financing for some of the world’s largest renewable energy projects. Their teams financed more than $30 billion of projects, including the generation of renewable energy and electric vehicles. Marhamati expressed that what differentiates his work at the Department of Energy from that at Ipsun Power is that Ipsun is “not subject to political winds which can favor priorities and leave a team with deep uncertainty about the future of their program.” He says politics and agency budgets are fluid, but you can plan for the long term with greater certainty with solar energy because solar energy brings an untaxed stock market return with no volatility along with technology constantly advancing and improving upon that value. Marhamati sees Ipsun as a positive and proactive response to the reality of the dire scenarios that could result from humans altering the climate as a result of sending large amounts of carbon pollution into the atmosphere. He believes that it is possible to avoid the most serious scenarios from carbon pollution if all economies and countries do their part. According to Marhamati, added benefits of going solar include saving money for residents and businesses and making communities healthier by reducing dependence on energy from sources that make air unhealthy and cause asthma and other problems. Ipsun’s services to residential and commercial properties are similar, with a few key differences. Both residential and commercial services involve an electric service meter that keeps track of volume and have a roof or area of land suitable for laying out solar panels. Approach and timing are the differences. According to Marhamati, businesses are usually slower to finalize a decision-making process about a solar power investment. It can take time to discuss all the angles, such as the economics, tax advantages and the potential to get the whole community excited about what the business is doing with solar as a reason to move ahead. Homeowners typically only involve a single person or a couple who have been considering solar for a long time and have different goals than those of businesses. Manufacturer warranty is typically discussed more often with homeowners as well, since homeowners want to be sure they have a reliable product that will last.